Are you ready for September 1st? I am. And right now, I'm laying the foundation for dopeness by compiling some of my favorite culinary tips, recipes, and reviews to share with you all here. Today is a special one for my Starbucks lovers! The Iced Caramel Coffee with Cream is a popular drink (next to the Caramel Frapp, of course) but both are not the business for #dopebody goals. If you're on my e-mail list, then you got the PDF of the #30DaysofDope prep checklist, and if you read the blog post, then you know I'm 137% about that meal prep life now. I had a meal plan designed by my friend Kohran of A-1 Lifestyle, and he laid out my meal plan with macro and calorie goals to a tee. Without getting into the nitty gritty details, I had to cut a LOT of carbs. And carbs just doesn't mean rice, bread, or pasta - it means sugar, too. That said, a trip to Starbucks would easily consume alllll my carbs for the day and then some. To kick my hankering for a coffee drink and switch up breakfast, I played around in the kitchen and created a Protein Caramel Iced Coffee drink. 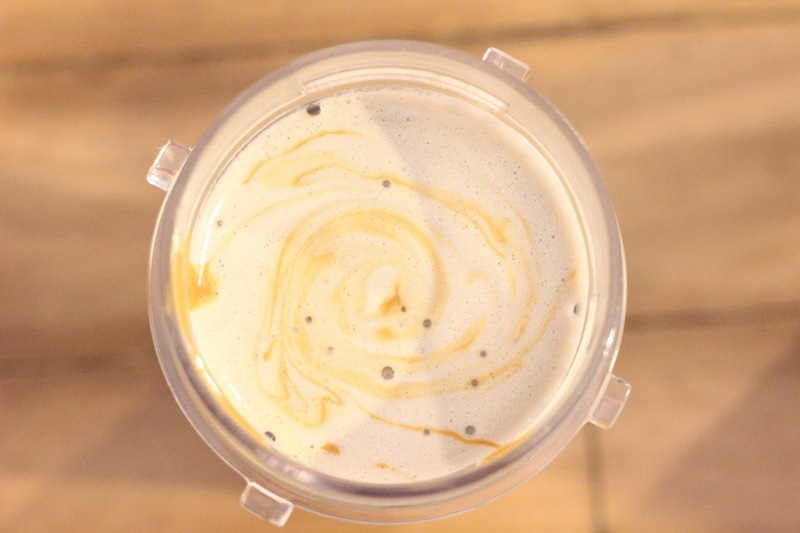 This drink is full of vanilla and caramel flavor, while being sweet - but not too sweet. Just a warning: in this recipe I use decaf coffee (I had to, I was consuming too much caffeine drinking coffee AND pre-workout daily) - but you can feel free to swap that with your fave. Even with the decaf, I had tons of energy and it kept me satisfied until lunchtime thanks to Neocell Collagen Sport Recovery Protein. It's seriously amazing - click here to read the review and discover the connection between collagen, protein, weight loss, healthy hair, and great skin! Brew your coffee or espresso and let it cool to at least room temperature. Add all ingredients into the Nutri Ninja or single serve blender cup, along with 4 ice cubes. Blend until completely mixed together. Drizzle 1 tablespoon of Walden Farms Caramel Sauce around the top to finish. 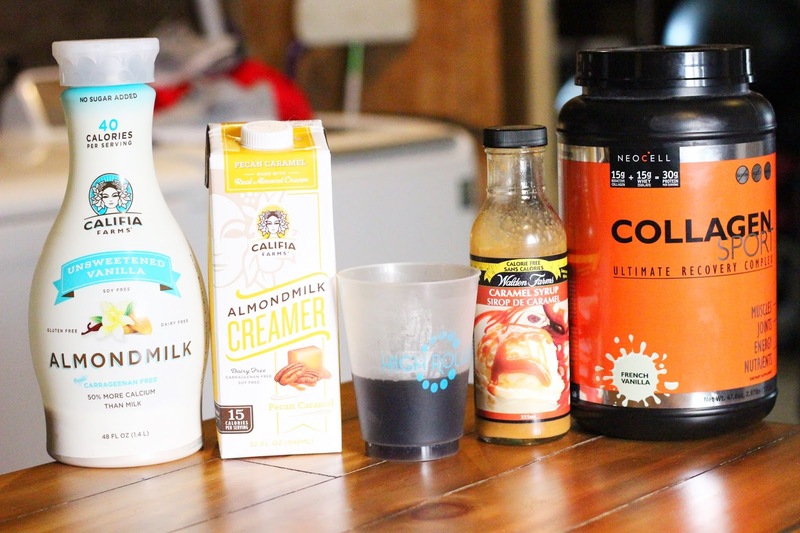 If you would like the Starbucks effect, transfer blended drink to another container, drizzle Walden Farms Caramel Sauce around the sides of the cup, and return drink to the Nutri Ninja cup. Add 4 or more ice cubes to keep drink cool. If you try this recipe out, let me know in the comments or on Instagram @ 30DaysofDope! 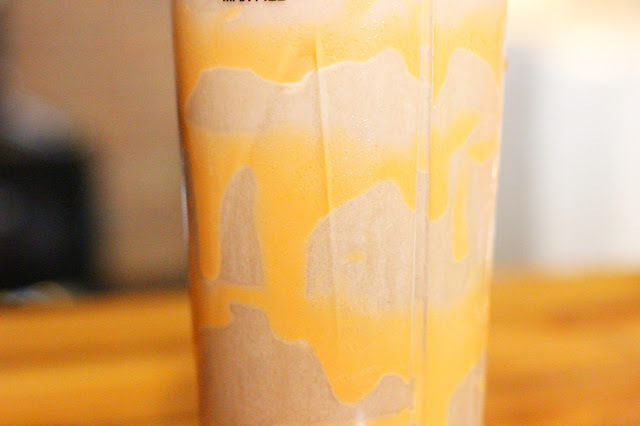 I'll probably tweak it soon to duplicate a Starbucks Caramel Frapp!